In 2015, "Hamlin Lake Cottage" made Ludington's Historic White Pine Village it's home. The cottage was moved from its original location on Indian Pete Bayou to to the Historic White Pine Village on Lakeshore Drive. A group of volunteers known as the "Hamlin Crew" put in thousands of hours disassembling the cabin log by log and reassembling on a concrete slab next to the Marchido School within the Historic White Pine Village. 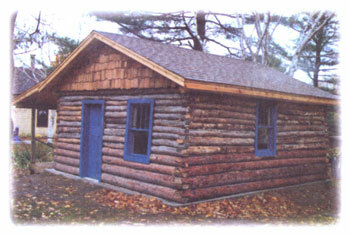 The original cabin was made of cedar, birch and pine. Each log was tagged so that it could be rebuilt easily. The construction of this building is typical of cottages from the early 1900s. 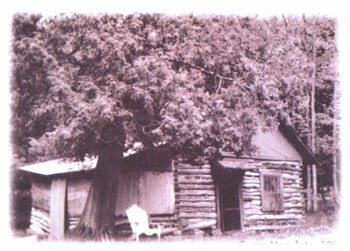 The log cabin belonged to Al and Anna Boulee and was one of seven cottages that made up the Boulee Resort. The family donated it to Historic White Pine Village so that future generations could see what Hamlin Lake resorts were like in the early 1900s. 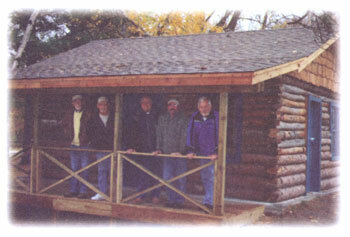 The work began in 2012 and by late fall 2014, the log cabin was completely reassembled. In 2015, the cabin was outfitted with its original furnishings, doors, and windows. The project was funded by both Hamlin Township and The Hamlin Lake Preservation Society. The Historic White Pine Village is an exciting, interactive, historical, and educational experience in a beautiful and serene setting overlooking Lake Michigan just south of Ludington. Visitors have been coming to the village since 1976 to see and experience what life was like more than 100 years ago in Mason County. Visitors can tour 30 buildings and sites displaying items from Mason County’s past. Read more about Historic White Pine Village.